I started out using RéVive Intensité Volumizing Serum by chance, while I was at Fashion Week this past February. I always travel with a skin care serum–as between the flights, not drinking enough water while traveling and the lack of moisture in hotel rooms, my skin is going to need it. I grabbed a sample that I had gotten in a gift with purchase and threw it into my makeup bag. I know that serums generally take 4-6 weeks to see results, but I felt like this serum was really helping my skin retain moisture within a few days of use while I was at Fashion Week. I knew that when I got home, I needed to do more research on RéVive Intensité Volumizing Serum. 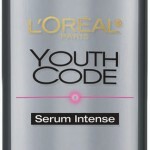 Luckily, I was able to reach out to the PR firm for ReVive and told them how impressed I was with this serum. They generously supplied me with a sample of Intensité Volumizing Serum so that I could continue to use the product for the next 4-6 weeks. I feel like my skin has really responded — you can see visible results from the before and after pictures (taken at 6 weeks of use and unretouched). The marionette lines (parentheses) on either side of my nose have definitely softened and are less deep and pronounced. I plan to continue using the product, in the hopes that I will see additional improvement. So what does RéVive Intensité Volumizing Serum do that other anti-aging serums that I’ve used, don’t? 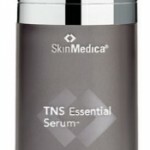 It provides intensive repair and volume enhancement for maturing skin and helps plump the appearance of trouble zones, especially puppet lines, nasal labial creases and crow’s feet. 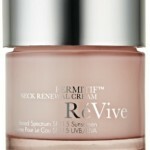 The formula contains Keratinocyte Growth Factor; the newest and most potent anti-aging molecule developed by RéVive. Keratinocyte Growth Factor improves the skin’s appearance after the subtle loss of facial volume. In addition, there are antioxidants and a Brightening Complex to help even skin tone. I had been concerned about volume loss in my face because of the weight loss and had considered the possible use of fillers once I reached my goal weight. I understand that fillers would be the best solution to loss of volume next to a surgical procedure, but I’m not ready for either of those options yet. I’ve been very satisfied with the results that I’ve gotten with RéVive Intensité Volumizing Serum. I’ve used the product twice daily for 6 weeks and believe that I can see noticeable improvement in the nasal labial creases on my face. I plan to continue using the product with the hope that I will get even better results over time. RéVive Intensité Volumizing Serum retails at $300 for the .5 oz. size. You can find RéVive products at Saks Fifth Avenue, Neiman Marcus, Barneys New York, Blue Mercury and Space NK. 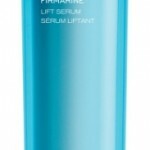 For more information, go to www.Reviveskincare.com. 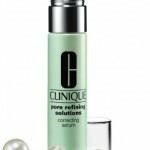 Clinique Pore Refining Solutions Correcting Serum: Big pores no more!